Choosing Between Canon’s EOS 5DS and EOS 5DS R: Which One Should You Buy? You are here: Home / Pro Digicam Reviews / Choosing Between Canon’s EOS 5DS and EOS 5DS R: Which One Should You Buy? If you want to have one of the best cameras in the market, the Canon EOS 5DS and EOS 5DS R should be on the top of your list. They’re not exactly cheap — the EOS 5DS body is offered at approximately $3,700, while the 5DS R body is priced at around $3,900 — but every dollar you spend on them is worth it. With advanced features that are specially designed to cater to the needs of advanced amateur and professional photographers, these two cameras will give you great value for your money and ensure you’ll enjoy high returns on your investment. 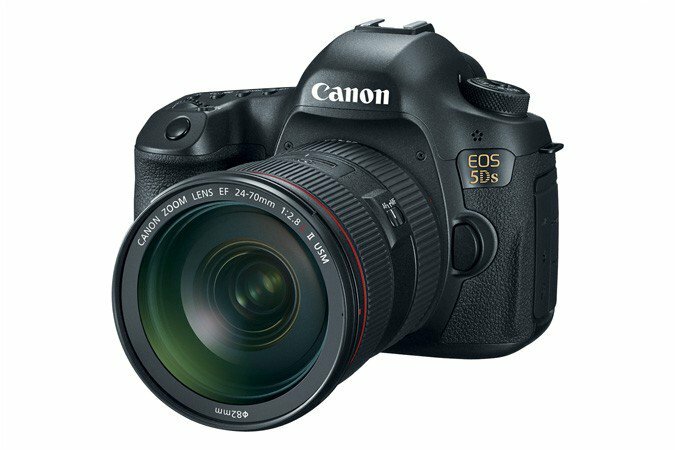 What exactly will you get when you buy a Canon EOS 5DS or EOS 5DS R? Well, for starters, you’ll get a camera that has a 50.6 megapixel resolution. If you’ve been a photographer for a long time, you know what this means: clear, crisp images that have incredible quality and look professional at every angle. Photos taken with the EOS 5DS and EOS 5DS R have very high resolutions that they will still show incredible detail even if you crop them. Still not impressed? You might want to note that many of the top cameras nowadays don’t have this level of resolution. Nikon’s D810 camera only has 36 megapixels, while Samsung’s NX1 trails behind with its 28-megapixel resolution. 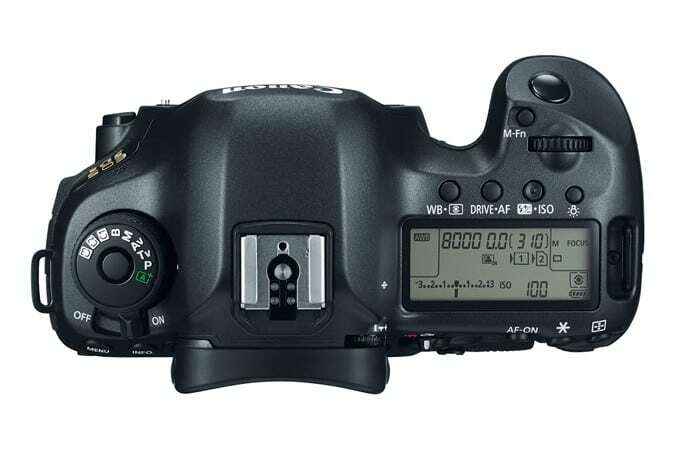 Aside from their high resolution, the EOS 5DS and EOS 5DS R also have many other useful features. For one thing, you’ll enjoy reduced vibration and camera shake with the refined mirror control mechanism and the Time Release Lag setting, which means you’ll avoid taking blurred, low-quality photos. The cameras also have a 61-point high-density autofocus array (which is capable of shooting a maximum of five frames per second) as well as a Fine Detail Mode, which complements the high camera resolution and brings out the details in pictures without over-sharpening them. As expected, the EOS 5DS and EOS 5DS R can record full HD movies. But what you might not expect is its Time Lapse movie feature, which allows the cameras to take still photos at certain time intervals and automatically puts them together to create a movie file. The clip comes in full HD and can last up to 2 minutes long. With these modern and high-tech capabilities, you might be itching to get your hands on the Canon EOS 5DS or EOS 5DS R. The question now is this: which camera should you get? 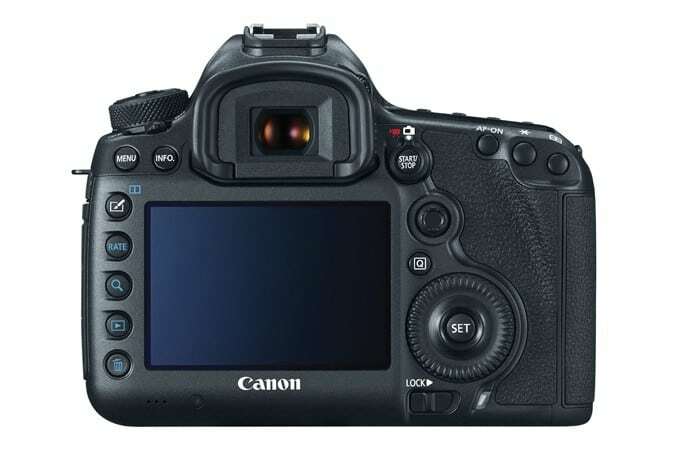 Both models share the features listed above; the only difference (aside from their prices) is that Canon’s designers have canceled the low-pass filter (LPF) effect in the EOS 5DS R.
What does this mean? To get a clearer view of this feature, you’ll need to know about moire: the strange-looking multi-colored wavy pattern that appears when you photograph something that has many repetitive details (like linen fabric with a herringbone weave or a blouse with lots of tiny polka dots). Moire doesn’t occur in nature, but it happens frequently in photography because of the way light interacts with camera sensors. Because of this, camera manufacturers came up with the low-pass filter to reduce this distortion. But LPFs are far from perfect; they do minimize moire but, in the process, they end up blurring the details of the image. So, when choosing between the Canon EOS 5DS or EOS 5DS R, it boils down to one thing: whether you can deal with moire or not. If you don’t want this distortion in your pictures (like most photographers), you’ll want to invest in the EOS 5DS and make the most of its low-pass filter. But, if you’re a landscape photographer who needs to capture every possible detail, you’ll need to invest in the EOS 5DS R and enjoy its LPF effect canceling feature. 61 Point / 41 f/4 cross-type AF points inc 5 dual cross type at f/2.8 and 1 cross-type at f/8 The number of cross-type AF points will differ depending on the lens. AWB (Ambeince priority/White priority), Daylight, Shade, Cloudy, Tungsten, WhiteFluorescent light, Flash, Custom, Colour Temperature Setting.White balance compensation:1. Blue/Amber +/-92. Magenta/ Green +/-9. +/-3 levels in single level increments3, 2, 5 or 7 bracketed images per shutter release.Selectable Blue/Amber bias or Magenta/ Green bias. Max. Approx. 5fps. (speed maintained for up to 510 number of JPEGs or 14 RAW images)    with UDMA mode 7 card.